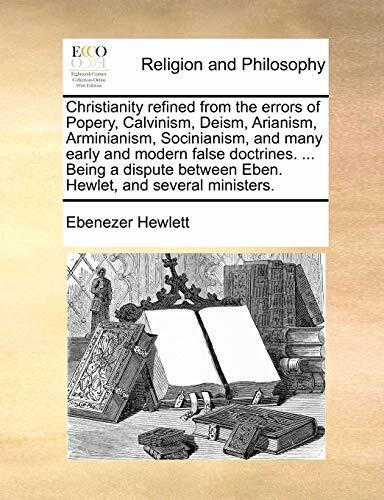 Christianity refined from the errors of Popery, Calvinism, Deism, Arianism, Arminianism, Socinianism, and many early and modern false doctrines. . . between Eben. Hewlet, and several ministers. The Age of Enlightenment profoundly enriched religious and philosophical understanding and continues to influence present-day thinking. Works collected here include masterpieces by David Hume, Immanuel Kant, and Jean-Jacques Rousseau, as well as religious sermons and moral debates on the issues of the day, such as the slave trade. The Age of Reason saw conflict between Protestantism and Catholicism transformed into one between faith and logic -- a debate that continues in the twenty-first century.